When you are a Hawk, you can spot a goal from a mile away and zero in on it. There is a lot more to college than class, though. And where better to find that out just 30 minutes from the fourth-largest city in the U.S., and 30 minutes from fun in the sun on Galveston beaches? Hear a symphony in the Bayou Theater, try some chili at our annual cook-off, even apply to become a hawk - UHCL’s school mascot, Hunter the Hawk. Put some life in your school-life balance. At UHCL, we know attending classes is just part of the college experience; it’s equally important to become part of a community. Our involvement and engagement programs are the gateway for dozens of opportunities. Find a passion (we’ve got 90+ student organizations you can explore) and sharpen your social development through leadership retreats, student government and other activities. 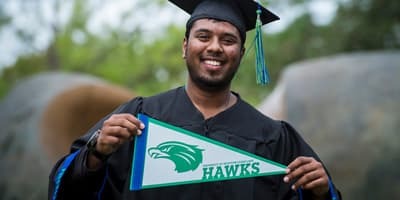 We welcome you to your first year at UHCL and we’re happy to offer you orientation programs to help you find your way around campus and to make sure you have a fun, exciting transition to life as a Hawk. We invite you to register for a orientation session upon admission to the university. 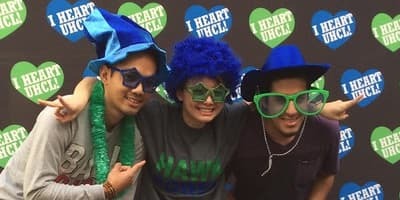 Don’t forget to sign up for Family Weekend events and register for Hawk Launch-- you’ll become familiar with all our policies, activities and services to help you make the most of your years at UHCL. But most of all, you’ll meet other students and catch Hawk pride and spirit! Your courses should be challenging, not overwhelming. We’ll always be here to help you through a tough patch. Student Services and Resources such as the Student Success Center, Math Center and Writing Center, just to name a few, provide one-on-one support if you need an extra boost. Ready for your own place, right on campus? University Forest Student Village offers one-, two-, and four-bedroom apartments, each with a full kitchen and free Internet (plus study lounges, tennis courts and pool). If you’re a freshman, consider living at Hawk’s Landing, which is a part of University Forest designated especially for first-year students. 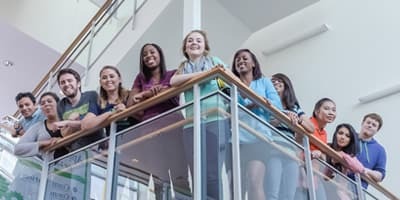 That's a great place to find your bearings if you're new, and they offer plenty of programming designed to enhance your academic and out-of-class experiences. UHCL doesn’t offer meal plans, but you’ll find plenty to eat on campus: Besides a rotation of food trucks with tacos, waffles, BBQ and more, the restaurants in our Patio Café serve all day long, from breakfast until after dinner. Achieving your academic goals depends in large part upon sustaining good medical and mental health, as well as maintaining a healthy work-life balance. We have registered nurses and board certified physicians available by appointment at the Health Services' Health Center to address your primary, urgent, and preventive health care needs. UHCL’s Counseling Services are available to students who wish to address emotional or personal challenges. And the Campus Recreation program is dedicated to helping you achieve a healthier, happier lifestyle. We invite you to take advantage of our diverse recreational programming and facilities designed to keep you healthy and fit, and to emphasize the importance of exercise and recreation in a balanced, productive life. UHCL is committed to cultivating a diverse and culturally enriched university environment that fosters positive and inclusive relationships. We believe exposing you to the diverse identities here at UHCL is an integral part of your complete education, and a crucial element in preparing you for an increasingly globalized professional world. We celebrate and advocate for the needs and concerns of women, international students, and LGBTQ students through educational programs, trainings, and cross-cultural collaborative events that strive to educate the larger UHCL community and promote cultural diversity and personal growth. UHCL occupies a leading role in the artistic and cultural landscape of the community, so take full advantage of the thriving arts and culture scene on UHCL’s campus. From theater and concerts to the visual arts, the Bayou Theater and the UHCL Art Gallery are your tickets to outstanding student and professional performances and exhibitions as well as enriching films and seminars each year. Since we believe that there’s more to UHCL than just going to class every day, we hold a number of events to bring the community together. We actively encourage students to attend events, make new friends and explore campus life outside the classroom. Pick a club and explore your passions or a new interest.